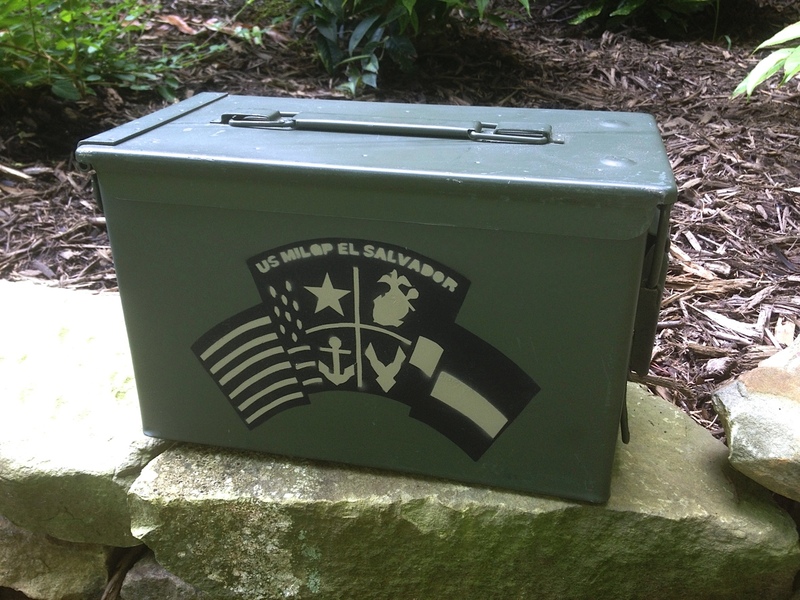 Ammodor Tactical Humidors | Ammo Can Cigar Humidors | Now offering personalized paint, stencils and decals! 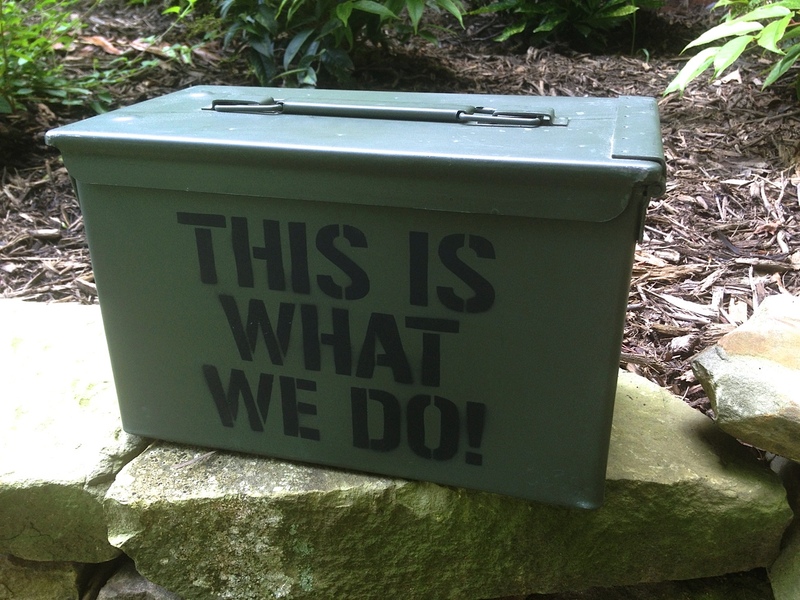 Now offering personalized paint, stencils and decals! Pimp out your Ammodor with custom paint color, a spray painted stencil or full color vinyl decals using our new personalization option! Add your unit insignia, company logo, favorite color, sports team logo or anything else you can dream of. Create a unique and one-of-a-kind Ammodor for yourself or give it as a gift! Available now on our most popular The 30 and The 50 Ammodor models. You’ll see an option at the bottom of the product configuration options to “Personalize Your Ammodor”. Upload an image or let us know what you’re looking for and we’ll create a custom 1-2 color stencil or full-color vinyl decal for each side of your Ammodor. Images must be high resolution (300 dpi) and at least 1000px x 1000px in size. Our artists will download and review your design and you’ll then receive a PDF mockup that shows your custom graphics on a sample Ammodor for your approval. No custom work will be done without your express permission. After your approval of the proof, please allow 7-10 days for the production of Ammodors featuring custom paint colors or painted stencils. Or, allow 7-14 days for the production of Ammodors featuring custom vinyl decals. Contact us with any questions about our personalization options! Previous Visit us at the Greensboro Gun and Knife show!